Kush became president of Tuscarora’s robotics club at possibly the worst time. The club’s faculty sponsor, Ms. Owens, had to leave the school suddenly. Without an active sponsor, the club couldn’t host meetings on campus. Membership dwindled from 20 to six students. Instead of closing the club he had been in since 10th grade, freshly elected president Kush arranged for the club to work in the attic of a Lansdowne clubhouse, a 20-minute drive away. The all-senior team made a robot that picks up and catapults objects over a fence. However, in the end, the club didn’t enter the robot into the high school competition because the event fell on the same night as their senior prom. Even without the competition, they learned how to work together to create an impressive machine. Since the entire club is graduating, the group will disappear at the end of this school year. “This is the last year. We just accepted it,” Kush said. The 18-year-old has had a busy senior year. Beyond robotics, two studies he has conducted have been published, “Teens’ Self vs. Others’ Decisions on Saving vs. Spending Money” is in the Mediterranean Journal of Social Sciences and the Asian Journal of Humanities and Social Studies; and “The Effects of Playing Cooperative and Competitive Video Games on Teamwork and Team Performance” is featured in the International Journal of Humanities and Social Science Research. He also formed a new committee within Tuscarora’s Key Club focused on canned food collection, which just achieved its goal of collecting 1,000 pounds of food for Loudoun Hunger Relief. 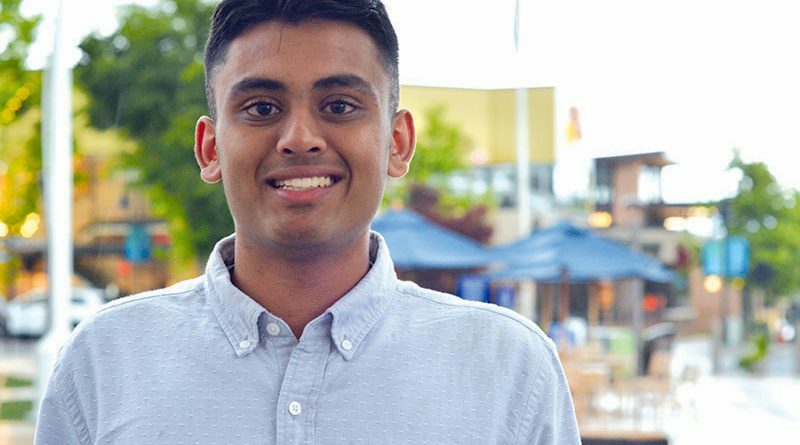 Kush will take what he’s learned through the ups and downs of the robotics club with him this fall, as he enters the engineering school at the University of Virginia. He plans to double major in computer science and finance.